Given below is the list of Top Architecture Colleges in Coimbatore 2019. As results near, the most important question playing on the mind of architecture aspirants certainly is " Which is the best college for Architecture in Coimbatore? " Tamilnadu School of Architecture, Prahar School of Architecture, RVS School of Architecture are the most highly rated institutes for study of architecture in the city. B.Arch Admission in Coimbatore colleges is based on NATA score. Click and discover the Top Architecture Colleges in Coimbatore 2019 and find all the information you may need about these colleges right from admission to placement. The field of Architecture is considered as one of the sections in Arts in which the person is responsible for the layout of enormous structures that are going to be developed in the future. 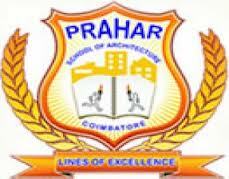 Prahar School of Architecture – Coimbatore is the premier of its kind in Southern part of Chennai. Address : 11/4, 4th Cross, Bharathi Park Road, Sai Baba Colony, Coimbatore - 641011, Tamilnadu, India.